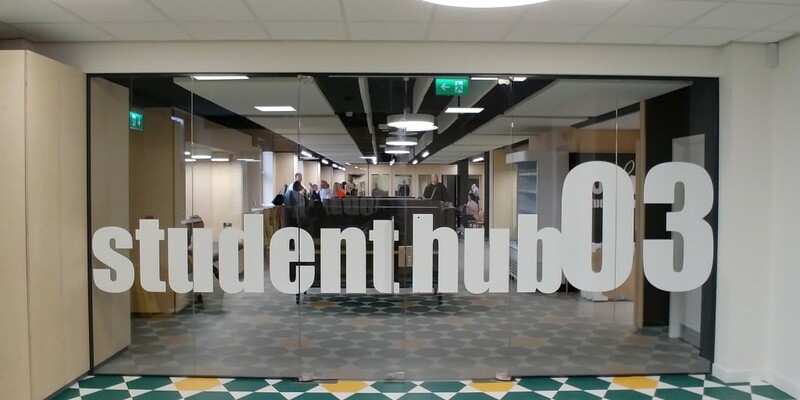 Our work on the third floor of Shenstone House, Halesowen College completed this week, just in time for the students return to college. 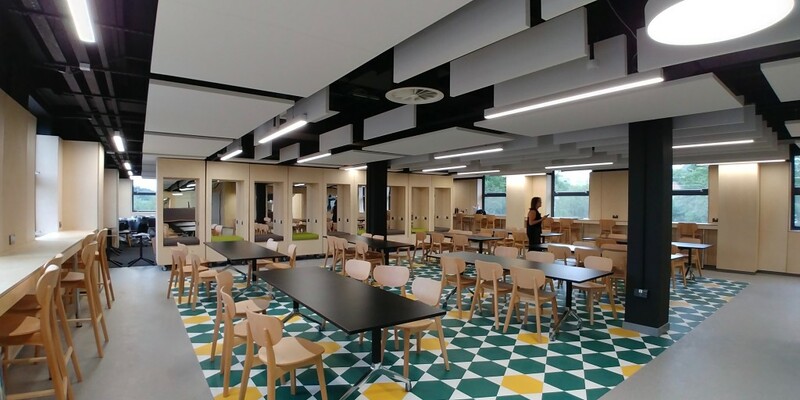 A former learning resource centre and canteen have been transformed into an up-to-date, informal learning area with a supervised study space and improved cafeteria. Through consultation with students and staff a new approach with a more informal, edgy environment was decided on. Shenstone House sets out this new approach that will be rolled out across further campus’. 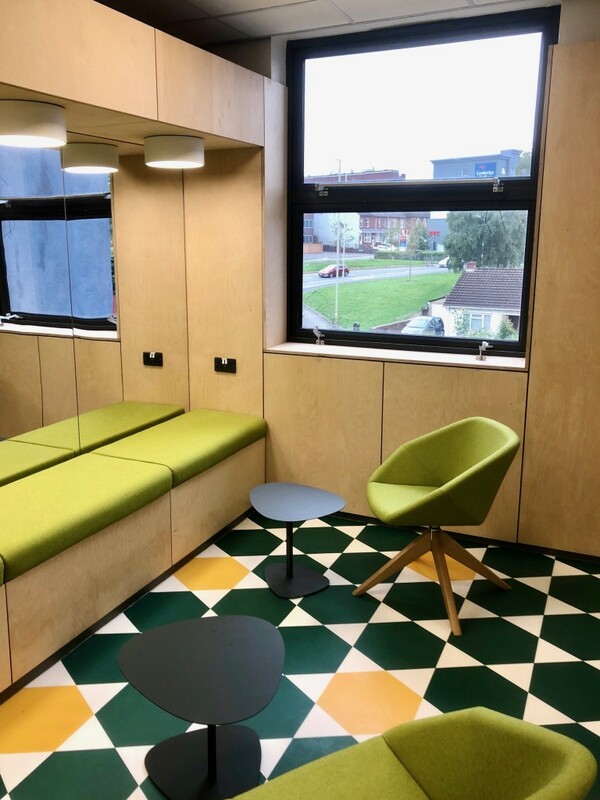 Working alongside the College and contractors Fuselek, we completed the project in a tight time frame of just six weeks, over the summer holidays.